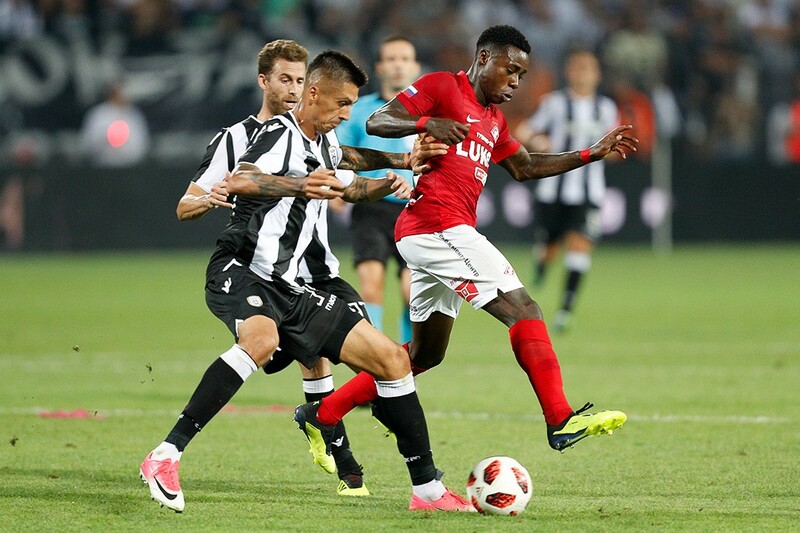 Spartak Moscow lost to PAOK by 2:3 in the first-leg game of 3rd qualifying round of Champions League. 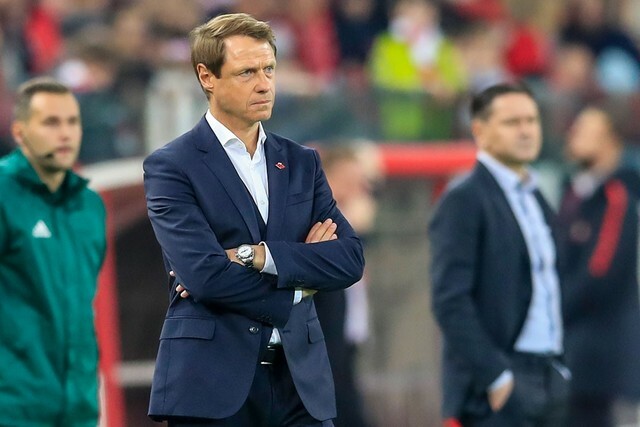 Spartak Moscow: Maksimenko, Eschenko, Gigot, Bocchetti (Rasskazov, 90+4), Kombarov, Zobnin, Fernando, Lomovitsky, Popov (Timofeev, 64), Promes, Luis Adriano (Ze Luis, 78). Substitutes: Rebrov, Glushakov, Hanni, Pedro Rocha. PAOK: Paschalakis, Matos, Varela, Khavheridi, Crespo, Mauricio (Shakhov, 84), Canas, Limnios (Leo Jaba, 79), Pelkas, El Kaddouri (Warda, 61), Prijovic. Substitutes: Rey, Malezas, Kitsiou, Akpom. Goals: 0:1 Popov (4). 0:2 Promes (17). 1:2 Prijovic (29, penalty). 2:2 Limnios (37). 3:2 Pelkas (44). Yellow Cards: Gigot (19). Zobnin (40). El Kaddouri (58). Paschalakis (69). Lomovitsky (72). Mauricio (77). Fernando (83). Many things were against us from the very beginning. 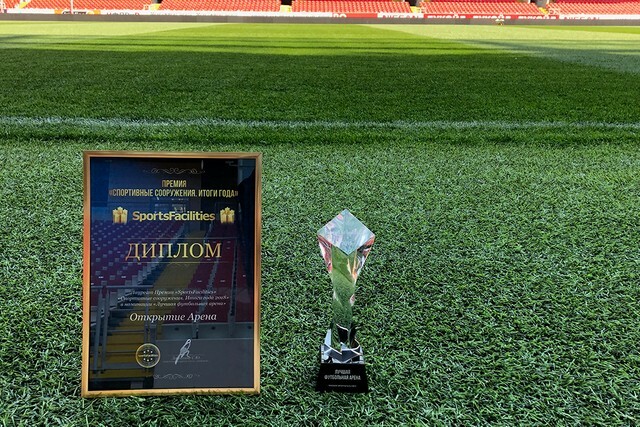 Spartak Moscow was left without its fans due to UEFA decision in 30 weather. PAOK is strong with the support of its fans though and statistics prove it: PAOK won 19 times in 19 games at Toumba Stadium being ruled by Razvan Lucescu. It was a difficult opposition for Spartak Moscow. Fan pressure didn’t bother Spartak Moscow though. The experience we got last year in Champions League played its role. Our team immediately created a few dangerous moments and one of it happened to become a goal. Firstly, Promes dribbled on the left wing but his cross wasn’t noticed. Then, Zobnin made a pass, Luis Adriano let it to Ivelin Popov who scored. His position in the starting eleven was surprising but he proved he was worth it. Luis Adriano took part in the second goal as well. Brazilian assisted to Promes after Eschenko’s cross. Quincy stroke but the ball hit Khacheridi and went into the goal just after. The goalkeeper was effortless. Spartak Moscow was leading 2:0 by 16th minute. It seemed like a perfect debut. 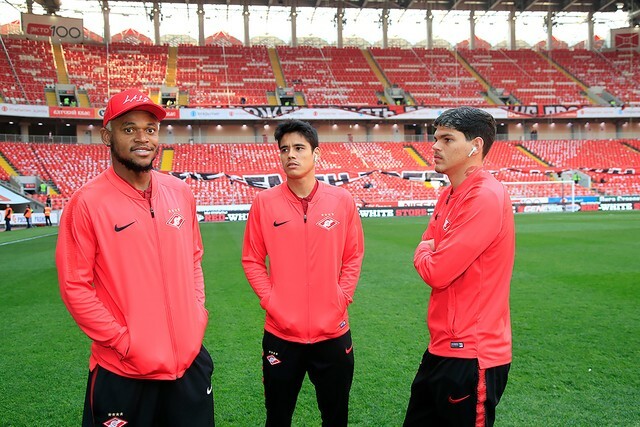 Unfortunately Spartak Moscow stopped giving the initiative to Greek team. Maksimenko performed his first save but a few minutes later he couldn’t help the squad as PAOK scored a penalty after Zobnin’s hand play. Prijovic who worked with Stanislav Chertchesov in Legia (Poland) performed the penalty. Home team was inspired by this success and started attacking a lot to take the lead before half-time. Firstly, Limnios was left alone in Spartak Moscow penalty area and scored. Secondly, Maksimenko couldn’t interrupt the cross and Pelkas made it 3:2 scoring into the empty goal. Spartak Moscow could have equalized in the beginning of the second half. Lomovitsky perfectly assisted to Promes but the goalkeeper reacted to the shot. Unlucky once but lucky right after. Bocchetti made a mistake in the centre later, so Pelkas went one-to-one with Maksimenko but missed. Spartak Moscow had a chance on 70th minute. Khacheridi fouled on Luis Adriano in the penalty area. Referee put a penalty. 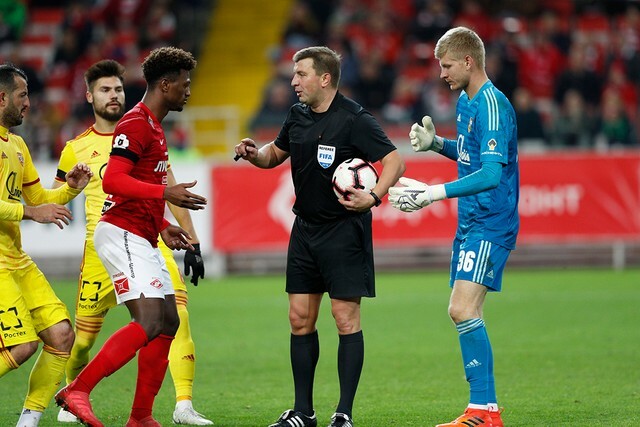 Promes was about to become a hero but Paschalakis guessed the direction and saved. No chance to put it into the net. The game finished with the result of the first half. Destinies of both teams in Champions League will be decided on August 14 at Otkritie Arena.